There wasn’t a great amount of holiday news for electronic cigarette merchants in 2015 as the Senate passed the $1.1 trillion spending bill without any special riders for e-cigarettes. The December 16 decision means that the vast majority, 99 percent of e-cigarettes currently on market shelves and in inventory, will need to be withheld from sale until they have been clinically tested and approved by the Food and Drug Administration. This ruling has many advocates crying out that such regulations mark the abrupt end of the once burgeoning industry. The FDA initially proposed these first-ever regulations for the e-cigarette market last year, an industry that has grown to be worth an estimated $3.5 billion according to Wells Fargo Securities. Their proposal followed rules contained in the Tobacco Control Act of 2009 and would not apply to anything on the market prior to 2007, so that any products that were available on or prior to Feb. 15, 2007 would be exempt or otherwise ‘grandfathered’ out from the FDA’s review process. All products created after that date would have to demonstrate that they are in compliance with FDA regulations. 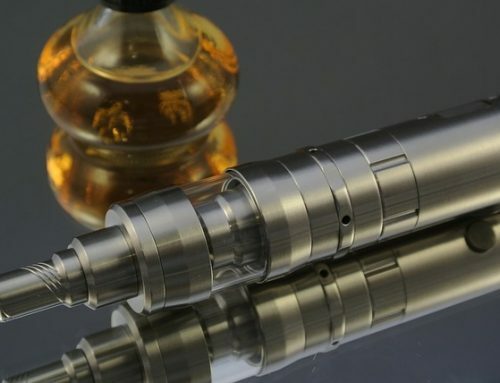 Given that 99 percent of e-cigarettes and their related products were created after 2007, a heavy lobbying effort was initiated on behalf of many e-cigarette manufacturers, distributors, and merchants to include a rider within the fiscal 2016 spending bill. This proposed rider, known as HR 2058, would change the date of the FDA proposal from February 15, 2007 to 30 days following whenever a new regulation is published into the federal register. Such a register would have saved nearly all of the current e-cigarette manufacturers from undergoing the agency’s Pre-Market Tobacco Applications process, a review process that can cost anywhere between $2-10 million. Healthcare advocacy groups like the American Lung Association fought against the efforts by the e-cigarette efforts to include the rider stating that the 2007 date was established to ensure that cigarette manufacturers aren’t capable of creating newer and more addictive products capable of further escaping agency scrutiny. However, due to the large price of the PMTA, it’s estimated that only the major tobacco firms will be able to meet the new financial burden thereby destroying one of the largest sources of competition and innovation – independent e-cigarette businesses. While the spending bill has been approved by the House, as of January 1, 2016, it is still possible for the White House Office of Management and Budget to issue a change to the February 2007 grandfather date. Barring this possibility, the FDA’s new regulations should be released some time in the spring of 2016. Once released, e-cigarette industry organizations will have two years to implement them. Summary: The Food and Drug Administration (FDA) is issuing this advance notice of proposed rulemaking (ANPRM) to obtain information related to the regulation of non-face-to-face sale and distribution of tobacco products and the advertising, promotion, and marketing of tobacco products. FDA is taking this action as part of its implementation of the Family Smoking Prevention and Tobacco Control Act (Tobacco Control Act). FDA is requesting comments, data, research, or other information related to non-face-to-face sale and distribution of tobacco products; the advertising, promotion, and marketing of such products; and the advertising of tobacco products via the Internet, e-mail, direct mail, telephone, smart phones, and other communication technologies that can be directed to specific recipients. For the e-cigarette industry and electronic cigarette merchants, this could mean the complete end to the online sale and marketing of e-cigarettes. This would be yet another ban that would mostly effect small, independent e-cigarette companies that operate primarily online. Such regulations would effectively ban nearly all e-cigarette products with the FDA going back to hand-pick the few individual products financially capable of entering the market. 2016 may just be the year the vape industry went up in smoke.